As most of you know from my last video, I just moved into my own place. 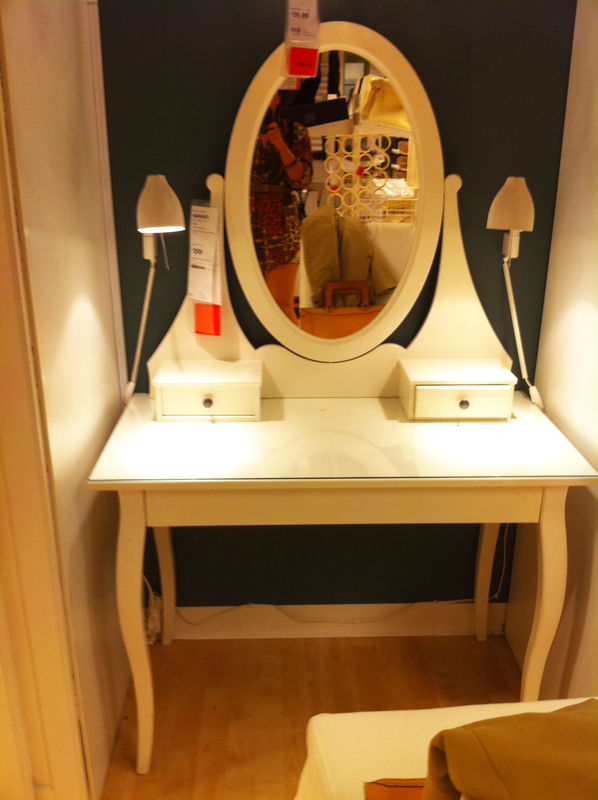 I desperately need furniture and have been comparing prices and items from different shops. 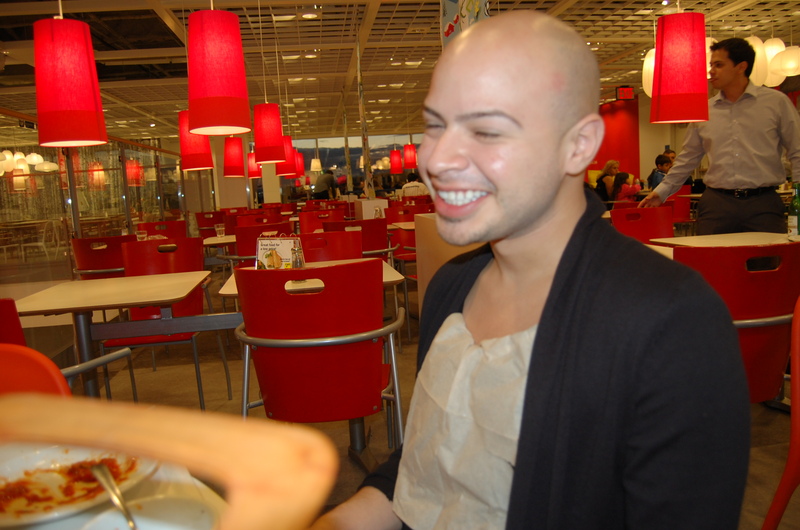 I have never been to Ikea and everyone has been telling me to go, including my boy Joovay who was awesome enough to take me there along with my bestie Christian. Christian just moved out as well so it was perfect that he came with us because he needs furniture too. 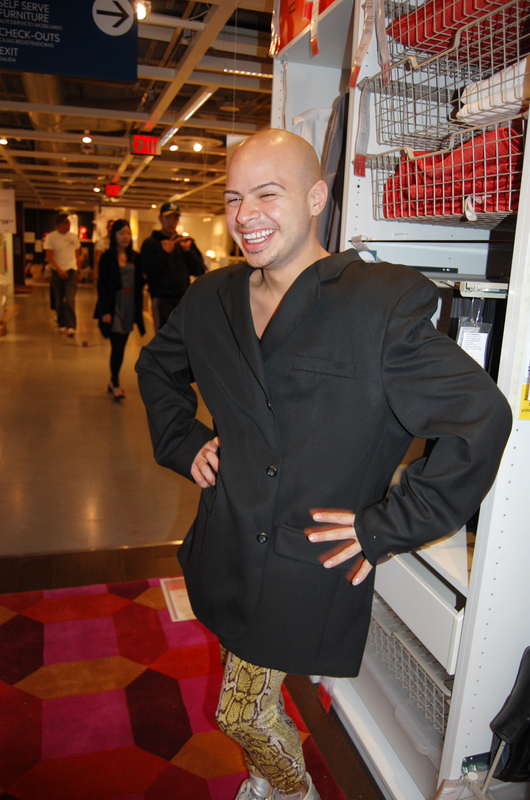 We went to the Ikea in Brooklyn and I was pleased with the prices when I got there but I wasnt too pleased with how modern it was until I found really great items that totally fit my style. I am into antiques and antique-looking things and there were a few things that caught my eye throughout the shop. 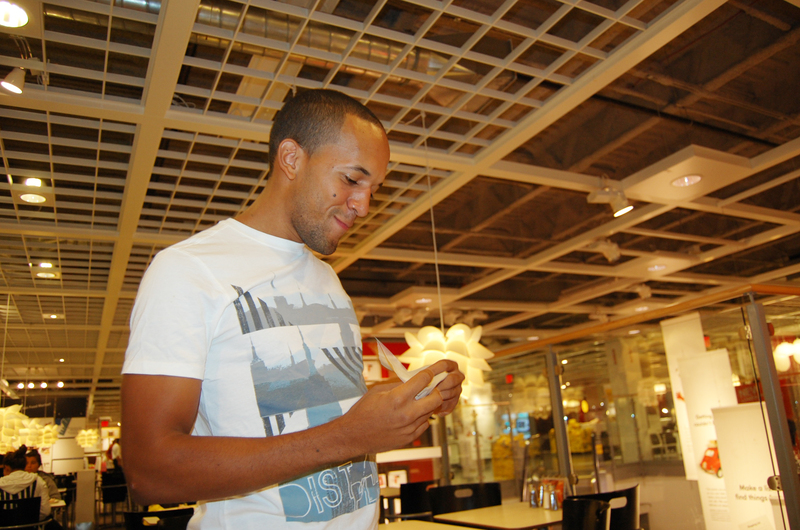 Overall I would say Ikea is great, we even ate there and the food was cheap and delish! 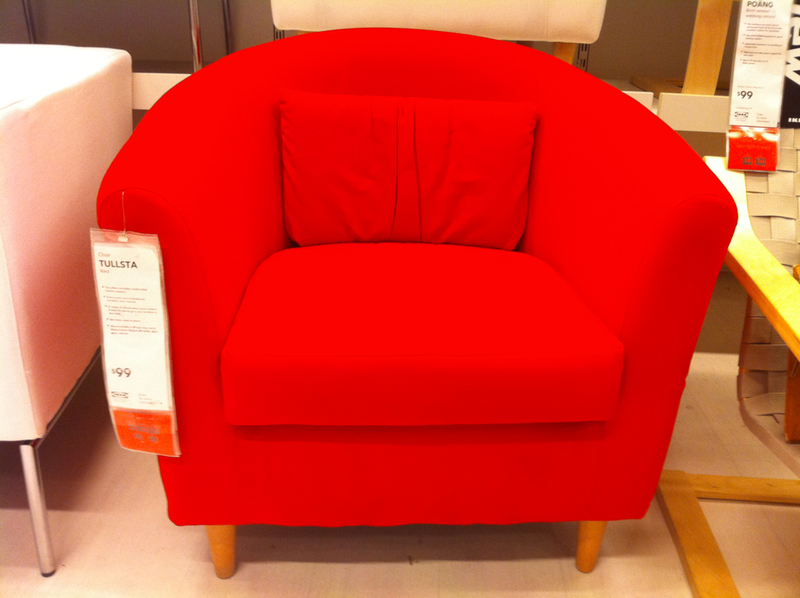 Here are some pics of our awesome time at Ikea. Look at that VIEW! I fell in love with the pier surrounding Ikea. Christian found himself a dream closet! Well don’t you look dapper! 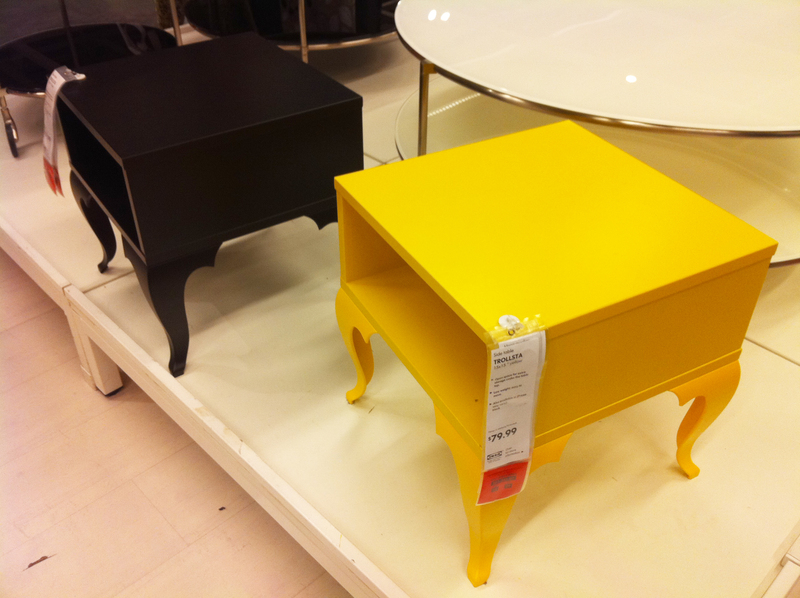 I love these little corner tables. I also love the prices. $79! This is a cute couch for my living room area, I want the theme to be Dia De los Muertos so I gotta have some RED! Just $99! 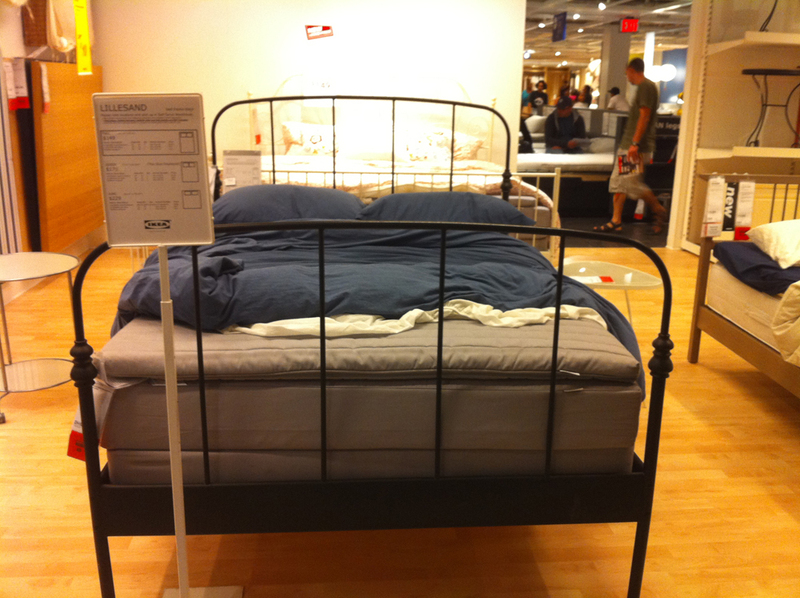 I am planning to get this bed, it’s just $150! I plan to paint the iron gold to go along with the Dia De los Muertos theme. 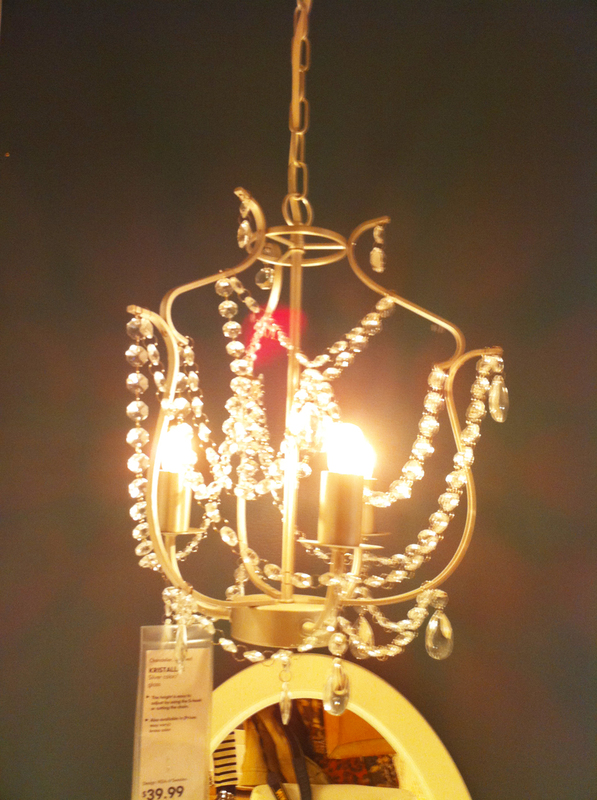 I even want the little chandelier! $39.99! The food was DELISH! Christian and I got pasta and salad for just $4.99! and Joovay ordered 2 meals for about 10 bucks! I demolished my lunch! I LOVE this picture frame, it looks just like the ones I have on my website menu! Just $29.99! 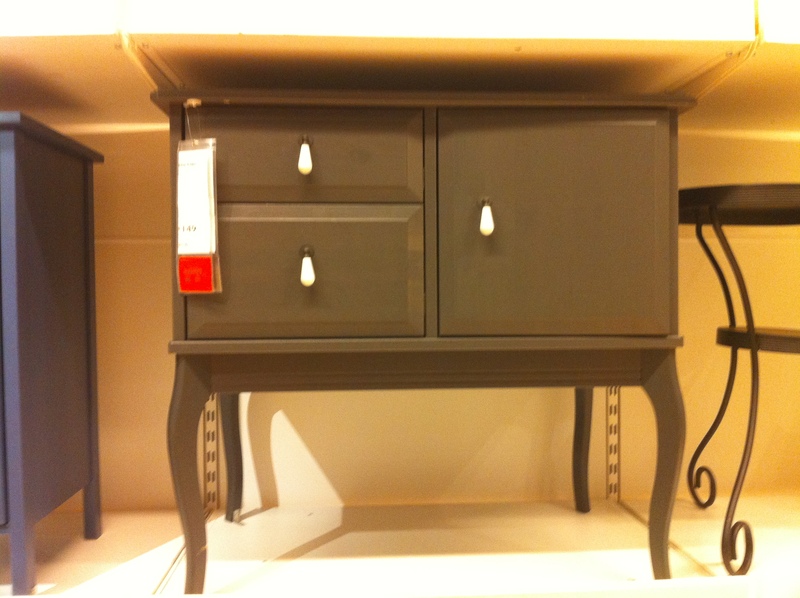 This is a cute little cupboard, I think I might need this too! I’ll let you guys know how it turned out, stay tuned! I am very, very happy for you! I love IKEA, and I fell in love with the awesome view the BK IKEA has! Also, Christian, I’m mad at you because that striped blazer you have reminds me of a Givenchy blazer that I was lusting over this spring! Congrats, Jasmin! Best wishes with your move and furniture hunt! I HAVE THAT CHANDELIER!!! and its great !!!! I love that picture frame also. 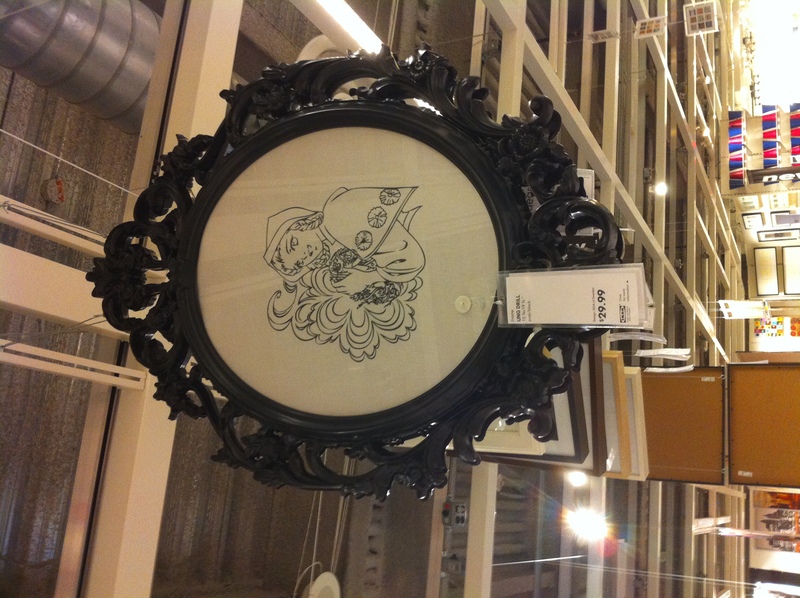 Saw it last week at the Ikea in Hicksville. Must have! They had some very cool looking retro items. you look beautiful and I love your blog! Where are your shoes from?